This bright and cute Danganronpa tee would be a perfect wardrobe staple when worn with Pop Kei, Mahou Kei, and Casual Kawaii styles. Danganronpa is a famous Japanese murder mystery game that is known for its dramatic and edgy character design. 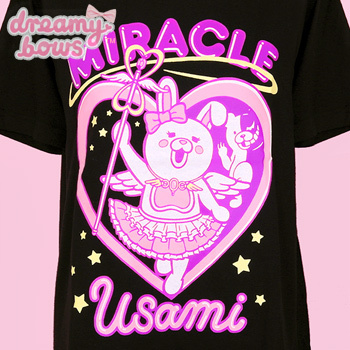 This collaboration t-shirt from Listen Flavor features an original Danganronpa character called Magical Girl Miracle ★ Usami, who is a charming and gentle bunny rabbit. 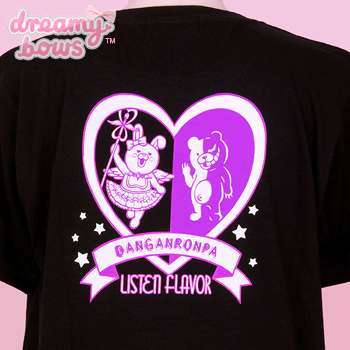 The back of the tee shows Usami and Monokuma the bear, as well as the "Danganronpa" and "Listen Flavor" logos. 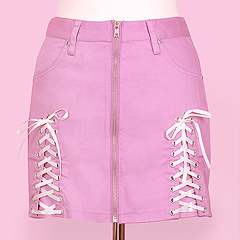 The fabric is soft and comfortable with some stretch. 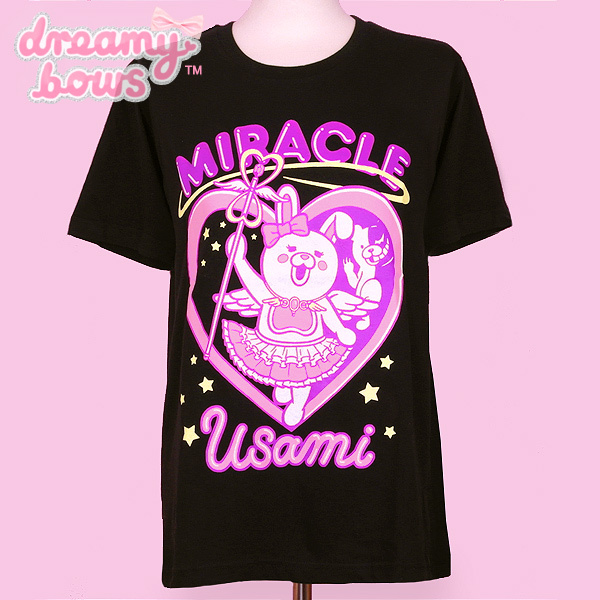 This piece would be suitable for several Japanese fashion styles, and would of course be perfect for any Danganronpa fan! Japan sizing is smaller than Europe sizing so please check the chart below to see the measurements of this item in cm.